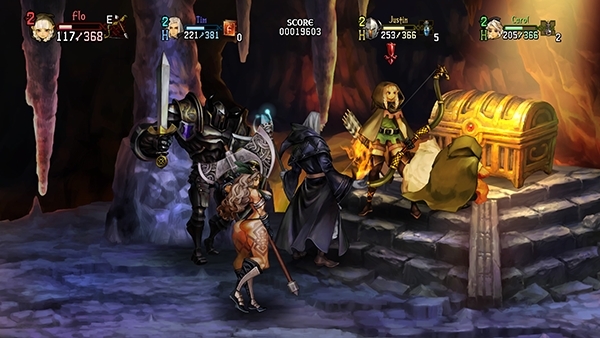 Atlus and Vanillaware have officially announced Dragon’s Crown Pro, a PS4-exclusive port of the PS3 and PS Vita hand-drawn brawler RPG Dragon’s Crown at Sony’s TGS 2017 press conference. This new version of the title will feature 4K resolution support, the entire soundtrack re-orchestrated live, cross-play with both the PS3 and PS Vita versions of the title as well as dual audio (English and Japanese voices). Dragon’s Crown Pro will launch in Japan on 25th January 2018 both physically and digitally. There will also be a “Royal Package” limited edition containing a 3-disc, 56-track official soundtrack containing the new OST, an orchestrated album special booklet and the “Digital Art Collection” DLC set, which includes a PS4 theme, bestiary and in-game deliverable materials.